Building Codes, as well as, the industry standard for truss fabrication (ANSI/TPI-1) in the USA, require third party inspection of truss fabrication. Stafford Inspection & Consulting Services, LLC provides these independent third party inspections. The Stafford Inspection quality mark on wood trusses indicates that the truss manufacturer performs ongoing internal quality monitoring of the trusses manufactured at that facility. Trusses are randomly inspected by plant personnel for conformance to engineering specifications and industry standards for fabrication. The internal quality monitoring program is audited by Stafford Inspection during monthly unannounced inspections in the truss plant. Stafford Inspection is qualified to provide the lumber and fabrication inspections required for Miami-Dade County Florida acceptance. Stafford Inspection is one of only a few agencies approved to provide both of the required inspections for South Florida during the same visit. Stafford Inspection is also approved to monitor the WTCA In-Plant QC program for wood trusses. If you are a WTCA member and choose to use the WTCA In-Plant QC program in your plant, Stafford Inspection can provide the required third party monitoring services for this program. Stafford Inspection also provides on-site inspection of trusses for evaluation of damage due to handling, insects, decay, or fire. 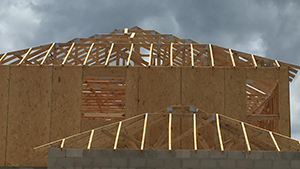 Our inspectors can provide evaluation of the lumber or the truss integrity based on conformance to the truss engineering and industry fabrication standards.